Marijuana laws and the maintenance of an undercaste | Jon Katz, P.C. At the recent State Criminal Justice Conference in Washington, D.C., Oklahoma state senator Constance N. Johnson touted not only her support of providing legal protection for medical marijuana, but also her support of legislation against distracted driving (also known as cellphone-talking/texting while driving). In response to Ms. Johnson’s comments about her legislative work against distracted driving, several people in the audience applauded, including a well-known longtime leading supporter for reforming the nation’s unjustly harsh criminal justice system. As much as texting while driving (how can a police officer know someone is texting behind the wheel?) and phoning while driving increase highway injuries and fatalities, bans on phoning while driving provide police an additional basis to stop vehicles, adding to seatbelt laws, laws against too-dark window tinting, and countless other grounds for police traffic stops. With virtually unfettered power in police to stop cars —- because just about any driver will violate one or another traffic law sooner or later the longer that a police officer follows a car, or will simply run out of gas —- this makes ours all the more of a police state, and gives police more ability to mask race-based traffic stops under the guise of stopping cars for traffic law violations. Once police stop a car for an alleged moving violation, they often proceed to ask the cars’ driver and occupants if they have any drugs or weapons. Sometimes the car’s occupants answer affirmatively, often not realizing they have no obligation to answer, in this early phase (nor any other phase) of the traffic stop, where courts have repeatedly said Miranda warnings generally do not need to be given. 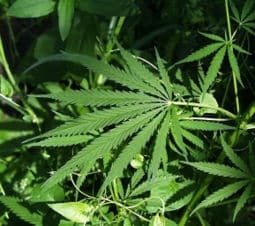 Whether or not stopped drivers permit a search of their cars or turn over contraband, once police claim to smell marijuana in the car, they search, and courts repeatedly allow searches based on smelling marijuana. Thanks to the New York Times’s Charles Blow for recently highlighting the disproportionately high number of African-American and Hispanic people who are arrested for marijuana possession, and for highlighting how convictions for such minor behavior as marijuana possession help push too many people into an undercaste. “Smoke and Horrors” (Oct. 22, 2010) These and other convictions can have harsh collateral consequences on access to financial aid, job opportunities, and the list goes on. We can reverse the unjust criminal justice system. One key to doing so is our making loud and clear to our elected and appointed officials that being “tough on crime” is not what wins votes, but that “being sensible on crime” and protecting civil liberties is what wins votes.